Fast & Furious 6, which is currently in pre-production, is going to be split into two movies, reveals Vin Diesel. The star/producer has said that the creative team, which includes director Justin Lin and screenwriter Chris Morgan, have too much story to contain in one single film.
" With the success of this last one, and the inclusion of so many characters, and the broadening of scope, when we were sitting down to figure out what would fit into the real estate of number six, we didn't have enough space. We have to pay off this story, we have to service all of these character relationships, and when we started mapping all that out it just went beyond 110 pages. The studio said, 'You can't fit all that story in one damn movie!'" Both screenplays will be written back-to-back, and they may be filmed that way as well. It wasn't revealed if Fast & Furious 6 and Fast & Furious 7 will be a two-parter, or if they will be stand-alone movies. So far, the sequels have always ended with a to-be-continued plot line. 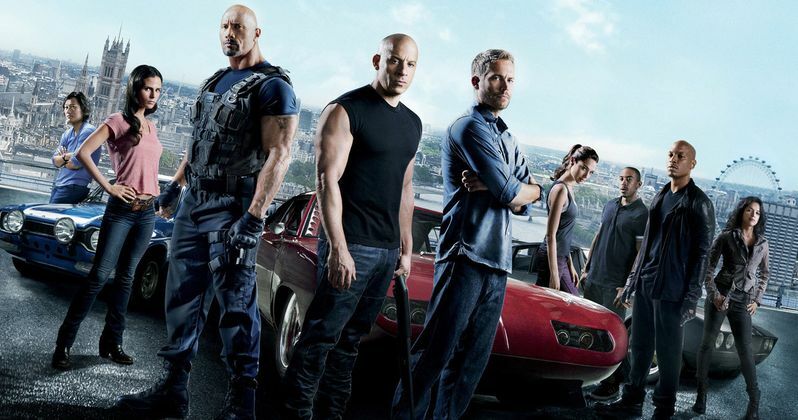 The climax of Fast & Furious 6 may be a bit more detailed, with higher risks at stake. Fast Five teased the return of characters played by Michelle Rodriguez and Eva Mendes.